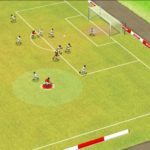 New Star Manager has been out for a few weeks now, and as we said the last time around, it’s the creation of Simon Read and Five Aces Publishing, and the latest in their New Star Soccer series. 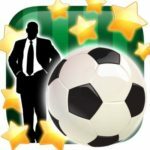 This iOS game, which shall be coming soon to Android devices, allows you to take control of a “beleaguered” team called New Star FC, a team of scrubs and nobodies, and guide them from the very bottom of your chosen country’s lowest-ranked league in hopes of getting promoted to the first/premier division and winning it all after going from the bottom to the top. 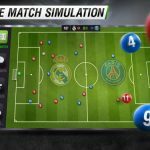 This isn’t just a soccer management game, however, as you will also be asked to take control of your team during crucial moments of your matches! By now, you should be aware of how this game could be quite challenging and daunting if you look at it at first glance.With all there is to learn in here, we started you out not too long ago with our exclusive New Star Manager beginner’s guide. But if you’re well versed with the basic fundamentals of the game, then it may be time to check out our New Star Manager tips, cheats and strategies for intermediate players. We’re taking it a little further here, but also adding a few additional beginner’s tips here and there, since we may not have included all of them the first time around. Read on if you’re looking to get a little further in your managerial career and hopefully get promoted to a higher league! Now, let’s move on to our New Star Manager tips, cheats and strategies! This one’s a very simple tip that we need to reiterate and clarify. But if you’ve made it to level 5 or so and are still having a hard time scoring goals, we might as well get this out of the way. The actions for dribbling the ball or shooting it are very, very similar, so if you’re still confused about things, dragging, then holding on to the screen will allow you to keep dribbling. Letting go after performing the dribbling motion, however, will force you to shoot the ball, or kick it to the sidelines for a reset (throw-in or goal kick), if you’re careless enough to do this while quite far from the opponent’s goal. That’s why you should be very careful when dribbling the ball forward — it’s as silly as it sounds if you launch an inopportune kick that sends the ball out of play! Normally, rage- quitting is not a practice that is encouraged, may it be by developers or your fellow gamers. But let’s face it — if there’s an option to manually get yourself a do-over of a match you believe you can win, why not go for it? As the action in New Star Manager is PvE, meaning you’re competing against AI opponents and not your fellow human players, you can manually swipe the game away and restart it during matches where you’re not exactly killing it out there on the field, or if you feel like you’ve wasted too many opportunities and aren’t playing as well as you should. But we should also warn you that that’s how things are at the moment — it’s always a risk to rage-quit, even if you’re playing a PvE game, because no one knows if future updates will remove that option or penalize you going forward. By default, New Star Manager allows you to retry one play where you blew an opportunity to score and the ball either goes out of play or gets won by your opponent. You will, however, be randomly asked before most, but not all matches if you want to get a second retry by watching an ad video. Don’t pass up this opportunity, because you’ll find out soon enough that retries can really be helpful, especially if you’re trying to meet the objectives the board has set for you, i.e. defeating an opponent by a certain number of goals, winning a given number of consecutive matches, etc. While it’s all well and good to have one, or preferably two retries ready for each match, it’s also a good idea to save them for moments when you really need them. If you’re trying to play catch- up or trying to hang on to a slim lead, you’ll need to have those retries ready in the second half. Similarly, retries can come in handy if you’re playing a cup game that goes into overtime. Penalty shootouts can be tense affairs (more on them in a bit), so why not retry your missed chances to see if you can win the match without having things decided via penalty shootout, easy as it may be to score on a penalty shot? In our New Star Manager beginner’s guide we explained you what you need to know about rejuvenating your tired players, and we did mention that NRG cards are a great way to do this before or after a game, and Team Talks can also be used to motivate some energy back into your players during halftime breaks. But since NRG cards come in different varieties, it’s important that you save the yellow ones, which restore more energy than the green ones, for your best players. By default, the game will bench any player who’s too tired to move on to the next match, regardless of their rating. So unless you’re facing a really weak opponent, feel free to use those yellow NRG cards for your top stars! As the average soccer fan should know, regular league games last 90 minutes, regardless whether you and your opponent are tied or not, and if you’re still deadlocked at the end of those 90 minutes, that’ll count as a draw. But in tournaments, a definitive winner is needed in order to determine who moves on to the next round, and if both teams are tied after a total 30 minutes of extra time (with two 15-minute halves), the game will go to a penalty shootout. In New Star Manager, tournament/cup play is the only time you’ll need to worry about this oftentimes tense part of association football, but it doesn’t always have to be a nerve-wracking experience. Basically, the key is to throw off the goalkeeper by aiming your penalty shots where he won’t be expecting. That means going far beyond the usual left-and-right alternating pattern. Mix things up when choosing which direction you want to fire the penalty shots to, because if you’re too predictable, the AI could take advantage of this. Contract negotiations in New Star Manager have a rather interesting mechanic, regardless whether you’re trying to sign a new staff member or a new player. Instead of the usual haggling process where you try to offer something slightly less than the asking price/different contract lengths until your target acquisition is satisfied with the deal, negotiations take the form of a minigame. And in case you missed our beginner’s guide, this title happens to be quite rich in minigames, may it be for those Team Talks you have with your players or those surprise “pressure” interviews, which are actually more like pop quizzes to see how well you know your team. The contract minigame works as follows — the game will start you off with a jersey number from 1 to 11, and for the next four jerseys, you’ll need to guess whether the succeeding number is higher or lower than the previous one. In other words, if the first jersey is an 11, you will obviously want to guess that the next number is lower, and vice versa. The further you go in this minigame, the less Bux (the game’s common currency) you’ll have to pay to sign that player or staff member to a contract. However, it bears mentioning that you shouldn’t get too greedy and try to push your luck too far. If you incorrectly guess whether the next jersey number will be higher or lower, that would drive up the player/staff member’s “buy now” price, oftentimes to a point where it’s a few thousands higher than the original asking price! That’s something you don’t want to happen — paying more than what a player/staff member is worth defeats the purpose of the contract minigame. So with that in mind, we recommend stopping if your current jersey number is a 5, 6, or 7 — while there’s a chance you will lose the contract minigame if you guess incorrectly with other numbers, the chances of doing so will be relatively slim. 5, 6, and 7 are right in the middle of things, making things too risky if that’s the current jersey number and you want to go further in hopes of saving more money. By tapping on the magnifying glass icon on the top of your screen, you’ll be able to add new players to your roster by purchasing them and signing them to contracts, which will usually be good for 40 weeks. Using this search function is simple — you can sort players based on several metrics, including their overall star rating, price, position, and age. But there’s more to simply adding the best players whom you can possibly afford. At first glance, you may think that the best thing to do is to look at the star rating of each player and their asking price — you’ll likely see a lot of players who seem to come with a lot of bang for the buck, players rated 40+ that cost less than 40,000 Bux, for instance, if you’re in the second season. But such players come with a major catch — almost always, these are your older players, meaning those who are aged 30 and above. These players are typically in the second half of their careers and are no longer in their prime, and that means they will tire faster and take longer to recover. This is an important catch you need to keep in mind — you may think you’re getting a good deal in the short term, which is true, but it won’t be too good in the long term. If you’re willing to spend some real-life money on player packs, the Gold player pack is a pretty good place to start. For just $2 USD or its local equivalent, you will get three new players, including one guaranteed Gold rarity player with a rating of 75 or more. In real life, social media activity could be very interesting when it comes to your favorite (or least favorite) athletes. They could be making passive-aggressive attempts to complain about teammates, coaches, and the like, or to demand a trade to another team where their talents can be better appreciated. That is also the case in New Star Manager, as social media activity could say a lot about what type of players you have. Yes, it may seem as if they’re making random comments on the game’s in-universe version of Twitter, but if you look closely, you could learn which players expect to be fielded in every single game, which players are likely to demand a trade, which players might not be happy in your team for much longer, etc. This is a simple tip we may have missed out on in the beginner’s guide, but we’re going to mention it nonetheless, as there may be a lot of players out there who want to know how they can level up in New Star Manager. By tapping on your current player level on the upper menu, you can view your player information, including your win-loss record, time playing the game, etc. Another sub-menu will also let you view the list of possible achievements, and while completing achievements means more currency in most games, that’s not quite how it works in this title. In here, achievement completion is worth XP, which means you’ll need to complete more achievements (winning x number of games, performing actions for the first time, etc.) if you want to level up faster. Every few weeks or so, the board will present to you a list of three objectives, which may run the gamut from winning or drawing a certain number of games, winning a game against a specific opponent, or performing certain actions, e.g. scouting one player. Just tap on the dartboard-shaped icon on the upper part of your screen if you need to refresh yourself on your current objectives. When it comes to football management games, upgrading buildings that seemingly have nothing to do directly with your chances of winning or losing matches is one of the less exciting things to do. But in New Star Manager, there are several good reasons to go to your different buildings from time to time and upgrade them — doing so won’t just reduce the cool down time for post-match actions (e.g. scouting, generating new cards, etc. ), as this will also allow you to unlock player information such as their Potential or their Traits. Just be aware that each upgrade will progressively become more expensive, which could mean having to make some crucial budgeting decisions — should you spend your Bux on a new player acquisition, or should it go instead to building upgrades? There you have it! This wraps up our New Star Manager ultimate guide. In case you know additional tips, tricks or strategies for the game, feel free to leave us a message in the comments!